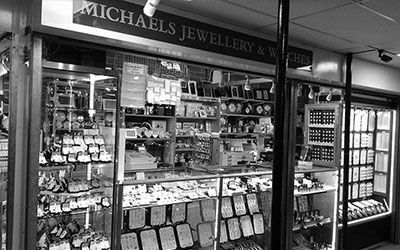 Michaels Jewellery is a long standing, family run traditional jewellers in the heart of Beccles, Suffolk and within the Dixon Centre in Hellesdon, Norfolk. 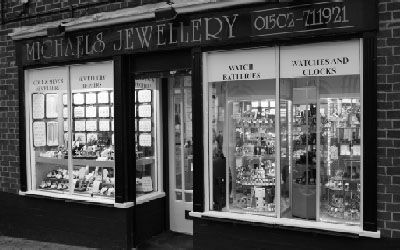 We have been trading for over 20 years and pride ourselves on our passion for jewellery and excellent customer services. We recognise that jewellery is a very personal and emotive subject, therefore we ensure we give every customer the time they need to choose, alter or repair the perfect piece for themselves or their loved ones. If we haven't got what you're looking for, we enjoy the challenge of tracking it down. Please visit us at Michaels for all your jewellery and watch requirements. A fantastic range of both traditional and contemporary gold & silver jewellery. A large and ever changing range of beautiful pre-owned jewellery for all tastes. A wide range of watches for all tastes and budgets. Anything we can't repair onsite, we courier at no extra cost to our specialist workshops. Competitive prices on buying scrap precious metals and pre-owned jewellery. A wide range of gifts, christening gifts, clocks, photo frames, scarves, hair accessories and more.